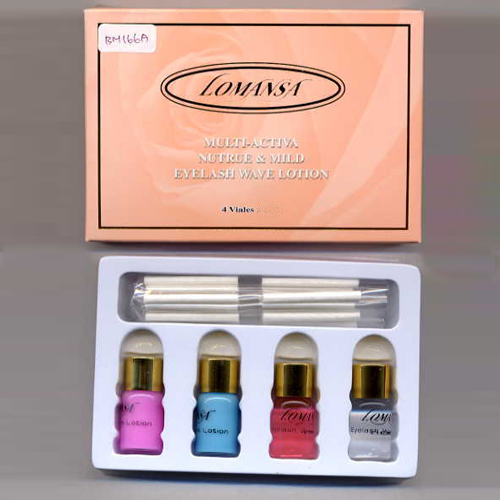 Professional Eyelash Perm Kit, Mini Eyelash Makeup Kit - High quality Taiwan Professional Eyelash Perm Kit, Mini Eyelash Makeup Kit provides by Jean-Modern's Ind. Co., Ltd. Medium Eyelash Rods: 16pcs (8 pairs). BM-166A Professional Eyelash Perm Kit. Fashion to be Lash Brighten and lift your eye area by lash now! It is not a dream anymore to make your eyes shining like a superstar! Good Quality, Beautiful Appearance, Attractive Design. OEM and ODM service provided.